Schafer 64" longbow 55@29. 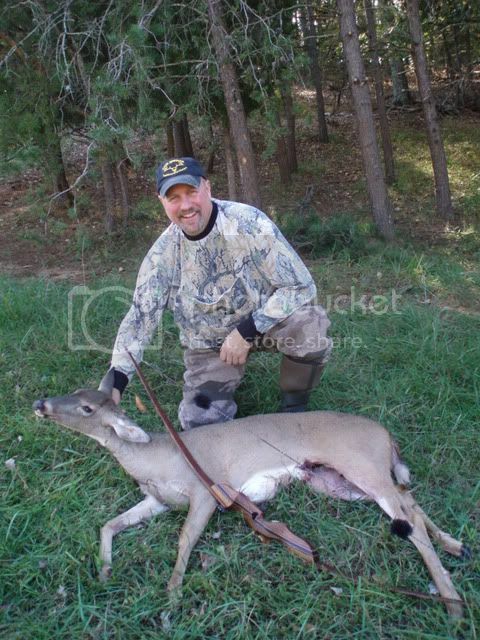 30" Gold Tip 55-75 with a Snuffer broadhead ~500gr. Re: It Must be "Oct-Doe-ber"
Way to lay them down,Jeff. Good thing you had the Whisperer with you. 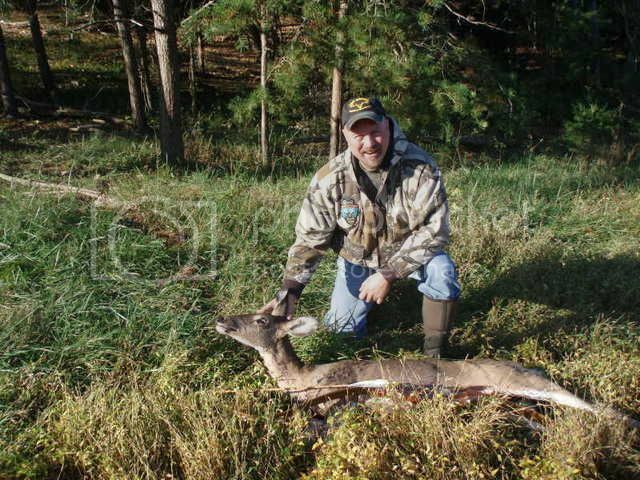 I would hate to be a doe where you hunt!! Congrats! One can always expect an entertaining story when Nook and Two Hats, now aka "The Deer Whisperer" are in camp. You guys liven up the camp and are a blast to be around.